Zeke fowarded this pdf by regular contributor Adolfo Giurfa to me. I think it has some interesting ideas in, though I don’t fully understand the theory as a whole. However, that is no reason to prevent others from reading and discussing it. Please download the pdf and take a look, Adolfo is happy to answer any questions you may have. 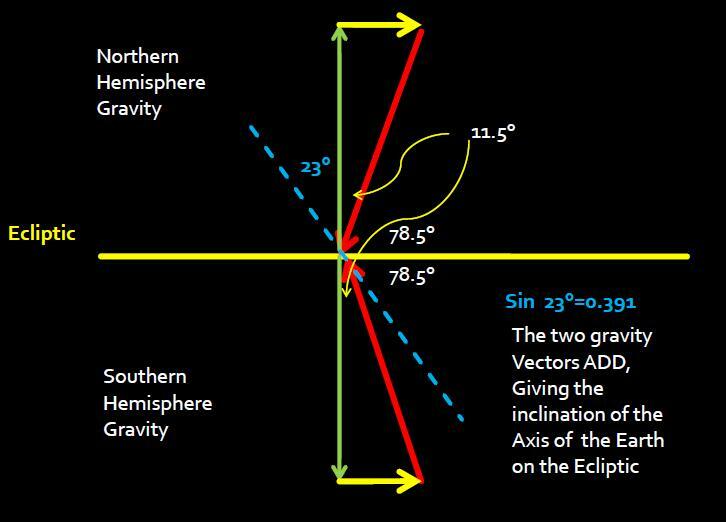 This graphic looks at the angle Earth’s axis makes to the ecliptic and reconciles it against the electrical and gravitational forces. Sea surface temperature is plunging rapidly, air temps are following the downward trend. Brace for another cold N.H. winter. 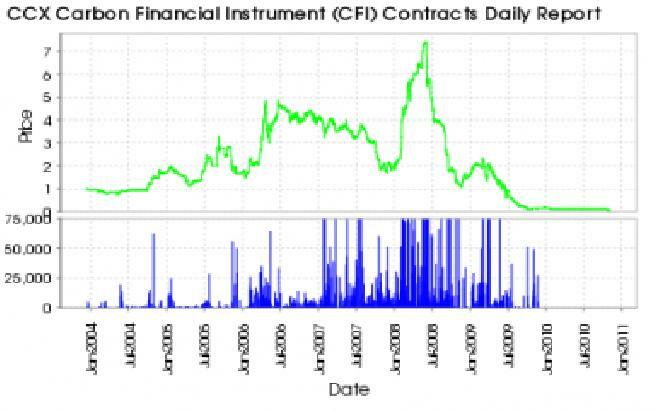 Lets hope SST’s don’t follow the Chicago Carbon Exchange carbon/ton price down to the floor. 1) Water vapour and clouds dominate the troposphere’s ability to absorb outgoing long-wave radiation, with the amount of water vapour decreasing with altitude. Most absorption occurs in the first few meters of atmosphere above the surface. 2) 99% of the absorbed photons are not re-emitted, due to collisions with other molecules and the consequent sharing of the energy, effectively converting all LWR into kinetic energy is a very short space and time. 3) Convection is the predominant method of transferring heat through the troposphere. 4) Radiation transmits the energy above the troposphere, with ever widening radiation windows with altitude. 5) The back-radiation from the atmosphere to the surface is both fixed and minimal for any level of atmospheric CO2 and other photon-absorbing gases. I hope Richard Holle might weigh in on this. What Dr. Scafetta is missing is the causal link between the planetary orbital periods, solar activity and the Earth’s Climate. This does not dismiss the possibility that such a link could exist, it just says that the mechanism is (currently) unknown. The answer to his dilemma is the Moon. The Lunar tides of the Moon do have a discernible influence upon long term climate here on Earth. The Moon has been moving away from the Earth ever since its formation billions of years ago. As it has moved away its orbital period has continuosly changed. This means that the properties of the Lunar Orbit have been shaped and moulded by combined tidal and gravitational effects of Venus and Jupiter, particularly at times when the orbital periods of these planets have been a sub-multiple of the orbital period of the Moon. An important new paper by Douglass and Knox is in press. I’m uncertain of copyright issues here so I’m just going to post the abstract, a graph, and the link that David Douglass has provided. A recently published estimate of Earth’s global warming trend is 0.63 ± 0.28 W/m2, as calculated from ocean heat content anomaly data spanning 1993–2008. This value is not representative of the recent (2003–2008) warming/cooling rate because of a “flattening” that occurred around 2001–2002. While Kath and I were on holiday last week we happened by Font Romeu in south west France. It is the sunniest place in Europe, with an average of 3000 hours of sunshine every year. 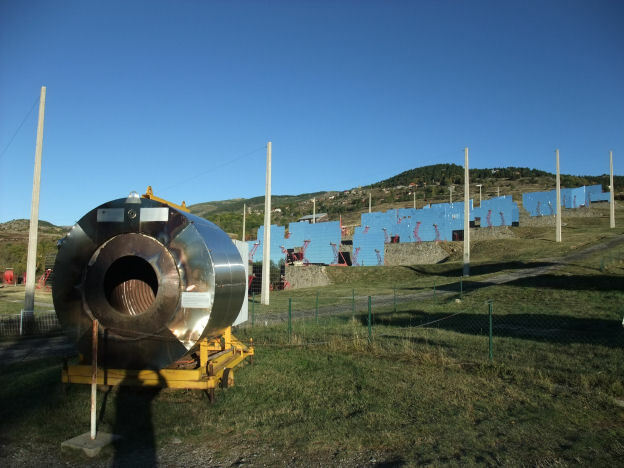 The sunshine hours at Font Romeu make it the best location for the Odeillo solar furnace. 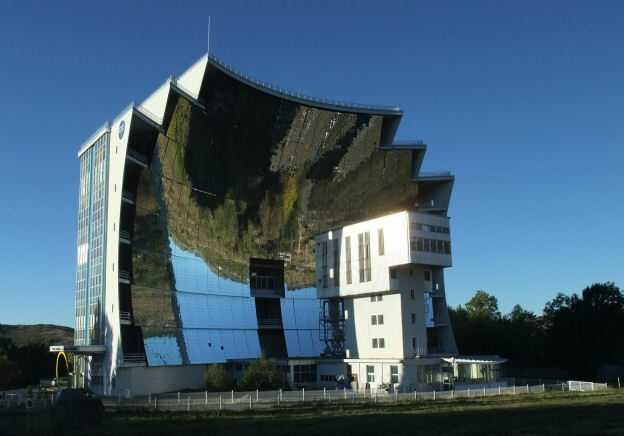 Built in 1970, It has 9,600 mirrors to capture the sun’s energy and concentrate it to reach temperatures over 3,000°C. The Odeillo laboratory is dedicated to research on ceramics. Back in the ’70’s when it was buit, they used it to generate electricity via the production of steam, using the heat exchanger pictured below. You can see the mirror arrays in the background which reflect the direct sunlight onto the curved collector shown above, which then focusses the rays into the tower in front. Unfortunately, we were there too early in the morning for the guided tour, and had to be on our way, as a general strike or ‘Greve’ by the French people (ironically about fossil fuel availability and price, and retirement age) meant our journey back to Carcassonne involved bypassing the railway system by use of the thumb. The BBC has an article by Richard Black worth deconstructing carefully. procedures used in compiling AR5 will reflect some criticisms made in the wake of errors uncovered in its previous assessment, in 2007.The recent review of the IPCC’s procedures, conducted by the InterAcademy Council (IAC), an umbrella body for the world’s science academies, said that some assertions about the likelihood of severe impacts were based on little research. “Authors reported high confidence in statements for which there is little evidence, such as the widely-quoted statement that agricultural yields in Africa might decline by up to 50 percent by 2020,” it noted. Long time contributor to climaterealists.com Stephen Wilde has published a wide ranging paper laying out the framework for a new “top down” climate model. This piece brings together the many articles Stephen has written over the last couple of years and integrates their content in an effort to move towards a better and more realistic understanding of the way Earth’s climate operates. flawed and must not be relied upon as a basis for policy decisions of any kind. and we have increasingly detailed data about past and present climate behaviour. phenomena to occur without offending the basic laws of physics. 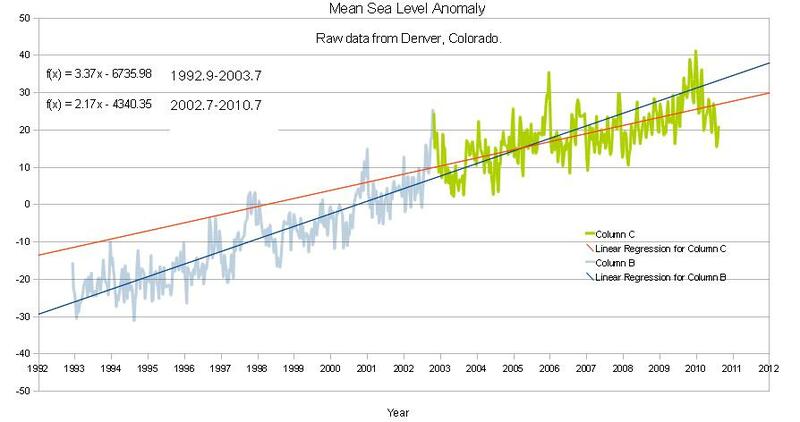 I downloaded the sea level rise data from Colorado.edu and plotted the trend prior to and following the point when solar output dropped below the long term average. 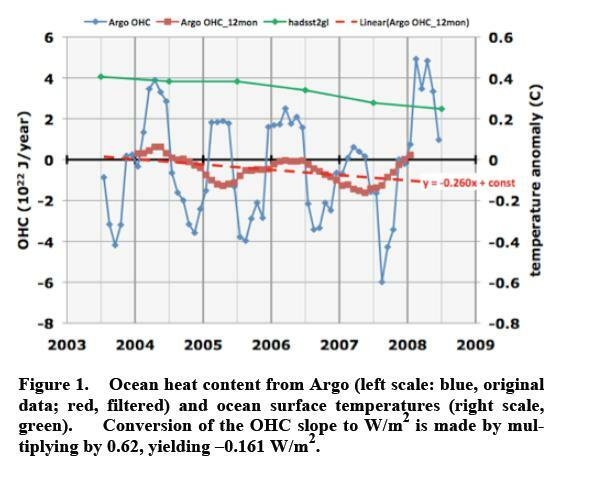 The drop in ocean heat content measured by the Argo network from 2003 means most of this rise would be down to meltoff due to continuing warm temperatures especially around Greenland, and increased runoff due to enhanced precipitation caused by a faster hydrological cycle. I’ve been really busy getting some practical hands on stuff done at tallbloke towers over the last few weeks. I’ve been harvesting and preserving my home grown food. I’ve also built an extension to my workshop to accomodate another of my transports of delight, a gas guzzling V8 sportscar which was handbuilt in Blackpool in 1984. I mechanically restored it a few years ago to good running order. Now it needs a full revamp of the cockpit to make it fit to be our wedding and honeymoon car. It’ll be getting a full wool recarpeting, and restoration work on the Walnut dashboard veneer, leather seats and the Mohair droptop hood. It has been a frantic time at work too, with the new semester intake of fresh students and graduation of successful students. So as a reward for all our effort, I’m taking milady Kath away for a week to the south of France, where we will be backpacking in the Pyrenean foothills around the ancient kingdom of Septimania, having a look at Cathar castles and medieval mountain villages. 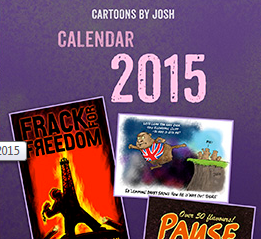 Thanks to all of you for keeping this blog alive while I’ve been AWOL. If anyone has a good idea for an interesting post then put it in the suggestions box today and I’ll find time to post it before we go on Sunday morning. ‘Watts up with that’ has an important article today on LOD – solar and cosmic ray connections. The evidence is getting stronger for the planetary hypothesis all the time. My very first article on this blog was also about a connection I found between LOD and the motion of the Solar equatorial plane with respect to the solar system barycenter. Other’s such as Ian Wilson (Ninderthana) have also independently worked on this, and those people such as Leif Svalgaard who have attacked us and our discoveries will soon be chewing on the insults and accusations they have made. We solicit manuscripts on this general subject for inclusion in a Topical Issue of Solar Physics. The deadline for submission of statements of interest with a tentative i) title, ii) abstract, iii) author list, iv) estimated number of Solar Physics pages, and v) three suggestions for referees, preferably with E-Mail, is 1 November 2010, and the deadline for manuscript submission is 31 December 2010.